"Well usually I like to dress like the 50s. I bought these pants at Painted Bird. They're the only pants I really have and it's cold. So here I am. 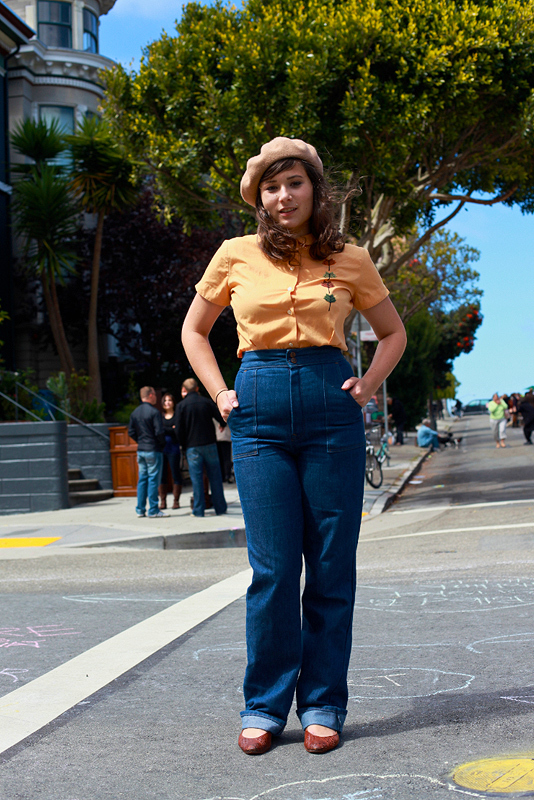 This is sort of a vintage blouse and 70s pants." 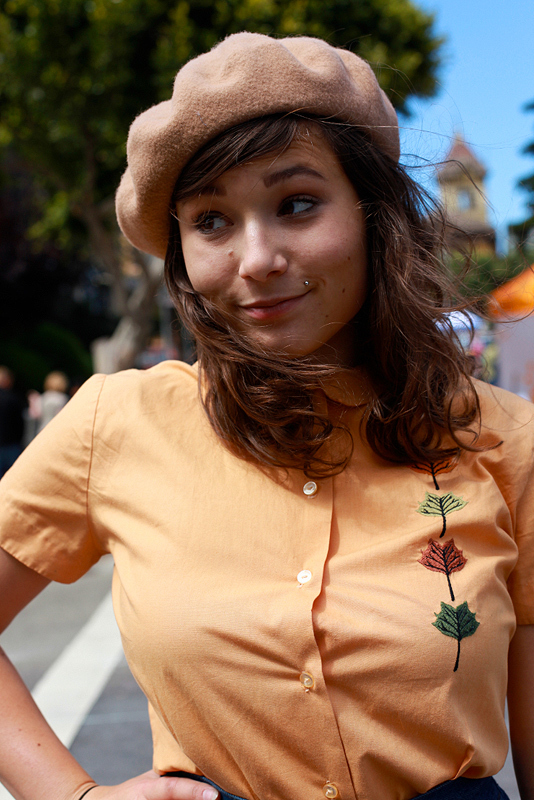 That beret is super cute, as is that Peter Pan collar embroidered blouse worn smartly with those high-waisted slightly flared jeans. This color palette and a little bit of the silhouette reminds me of the Sonia Rykiel Resort 2011 collection, which I covet. 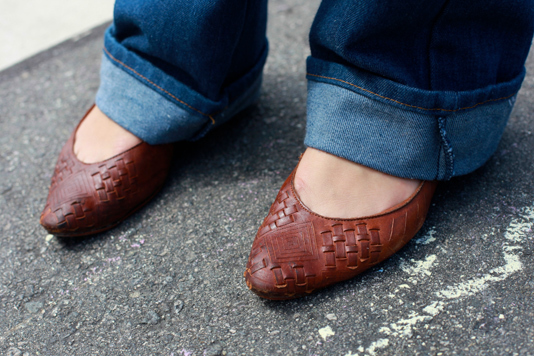 Great darkened (by water mishap) 80s-era leather flats.